We have a fun challenge for you over at Sentimental Sundays this week. 3 Embellishments That Start w/ "B"
We are being sponsored by ADFD and I chose to play with Book Time. I read to my boys all the time and made an instant connection, the moment I saw the image. The 3 B's I am using on my card today are: banners, button and burlap twine. I colored the image with my Copic markers and paper pieced the book and the dress, using Teresa Collins: Stationery Noted paper. When the glue finished drying, I place the image inside my embossing folder (checkerboard) and ran it through my Grand Calibur. I love the way it came out...I had never tried this before and had decided on doing this because I didn't like how the paper piecing looked around the girls head. I also ran out of ink and couldn't print another image, so I said let's try something new. The embossing, just made the entire piece look as one. Here is a more detailed shot of the image and the sentiment. So join us this week and please, don't forget your sentiments!!!! Wow, this is just amazing. I love everything about it and am going to absolutely steal this card sketch. OMG! I'm in LOVE with this amazing card. 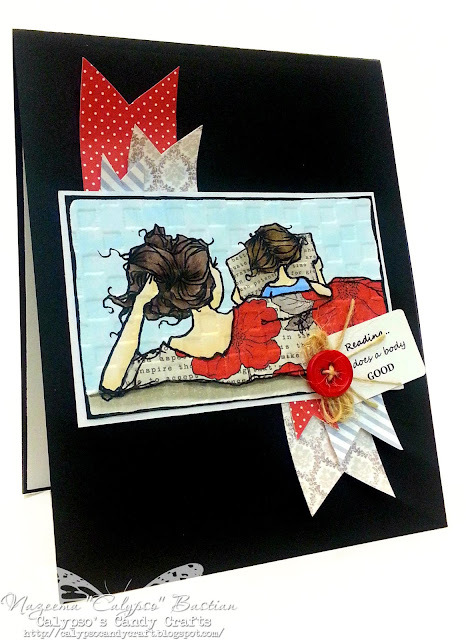 The image is gorgeous, the paper piecing looks great and the embossing really creates a beautiful touch. Great layout, too. This is just over the top fabulous Calypso, I ADORE it! This is really beautiful! The embossing really added to it. Super creative! Wow!! Super stunning! You nailed this card..it is perfect!! WOW! What a beautiful card, it is so original! 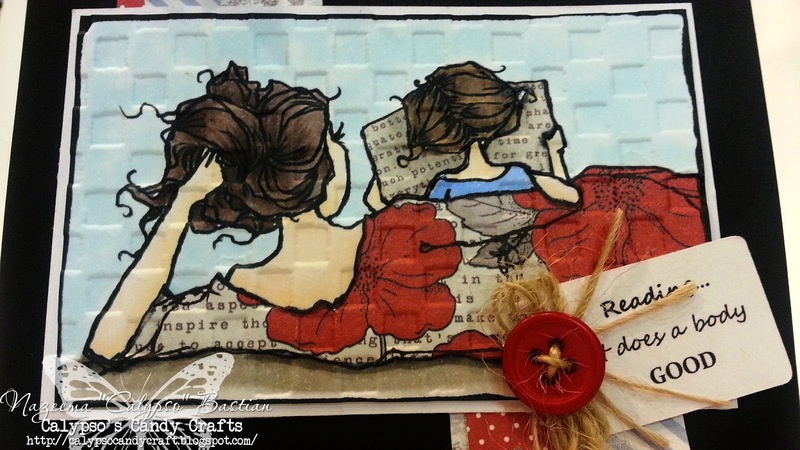 Love the splashes of bright color and how you pieced the paper, a lovely card! Thanx for sharing it with us at CC&CC. Aloha, Joanne. What a wonderful color combination! The texture you achieved by embossing the entire image is just amazing! Thanks for joining us at My Sheri Crafts. Beautiful card and your paper piecing looks amazing ! I love this card. Fantastic paper piecing, and embossing. I will have to try that. This is so beautiful and the image looks so real.. Thanks for sharing this beautiful creation with us at CC&CC..
Fabelous! Great card. The colors, the paperpiecing, everything just fits. Absolutely LOVE this -- what a fabulous and beautifully-colored image and perfect sentiment -- as it's sooo TRUE!!! 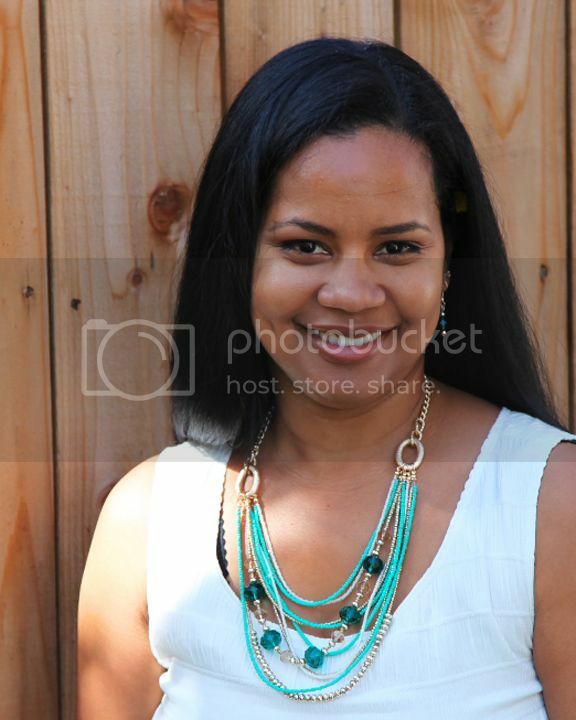 Thank you so much for sharing with us @ My Sheri Crafts!! !